Western Digital today introduced a new 400GB SanDisk Ultra microSDXC UHS-I card, which it says is the world's highest-capacity microSD card available on the market. 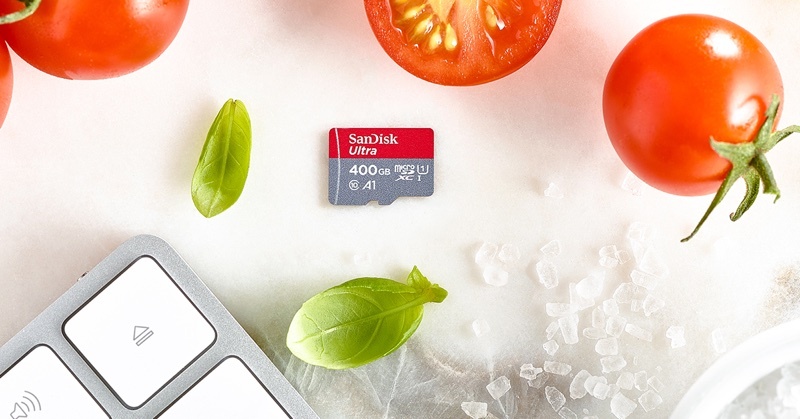 The new 400GB card comes two years after the company introduced its 200GB SanDisk Ultra microSD card, with the new version doubling the storage capacity. According to Western Digital, this new milestone was achieved through leveraging proprietary memory technology, design, and production processes that allow for more bits per die. "Mobile devices have become the epicenter of our lives, and consumers are now accustomed to using their smartphones for anything from entertainment to business. We are collecting and sharing massive amounts of data on smartphones, drones, tablets, PCs, laptops and more. We anticipate that storage needs will only continue to grow as people continue to expect more sophisticated features on their devices and desire higher quality content," Jeff Janukowicz, research vice president, IDC. "We estimate mobile device users worldwide will install over 150 billion applications alone this year, which require a ton of memory on all of our favorite devices." Designed for use in Android smartphones, drones, cameras, and other devices that use microSD storage, the new card can hold up to 40 hours of full HD video and it features transfer speeds of up to 100MB/s. 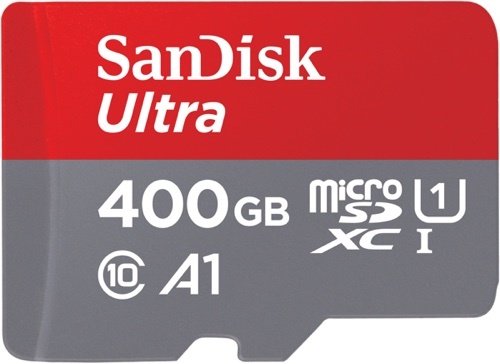 The 400GB SanDisk Ultra microSDXC UHS-I card will be available from SanDisk and other major retailers soon. It is priced at $249.99. Jokes aside very interesting for those looking for bargain MacBook Air machines. Should add tons of storage to future proof. Hmm, can't wait to see the first reports of 800GB PSPs. Will take forever to boot, but by God, having close to a TB of storage on a portable console of that age just makes me drool. Just manage where you put which files. For example: don't set your work directory in FCPX to this card. As long as the OS and the common applications are on the SSD I think for many this could be the workable solution Apple practically forces you to go with unless you like paying high premiums for fast storage when you really only need a fraction of your storage to be fast. Again making you wonder whether Apple removed the SD card slot to cut off expandability, which is just pathetic but might have influenced the decision. How is it possible to have so much storage on such a tiny thing? Doens't this mean, you can build 2,5" drives with 40Tb? 400GB in the palm of my finger. All I can think of, looking at this is "Raspberry Pi Zero W fileserver". So my note 8 can have 528gb storage. Insane. $250 is super cheap too for what you get!